In a big move for online content creators, Nintendo recently announced sweeping changes to their content guidelines for video / image sharing sites. 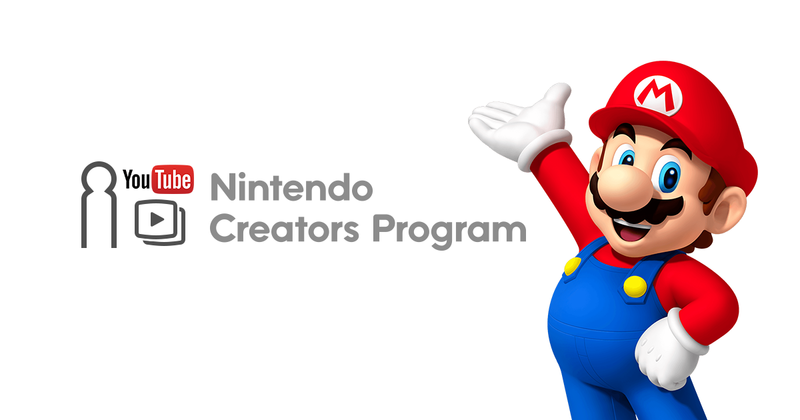 Doing away with the Nintendo Creators Program and lifting various restrictions on how fans can use its copyrighted works, Nintendo has made it easier for creators on YouTube and other video sharing sites to monetize videos featuring Nintendo-owned content. With the content guideline changes already in effect, Nintendo plans to completely close the Nintendo Creators Program at the end of December 2018. Over the few past years, Nintendo has been extremely strict with its enforcement of copyright on sites like YouTube, choosing to run ads on videos that featured Nintendo-owned content or seizing monetization on videos that would otherwise go to YouTube partners. And with the launch of the Nintendo Creators Program in 2015, only content creators that joined the program were eligible to earn some ad revenue on videos featuring Nintendo content, with the Big N taking a cut of the profits. These restrictions have been met with criticism from certain online content creators, especially as they seemed to ignore arguments of criticism and fair use. But as of November 29th, Nintendo has lifted the heaviest of these content restrictions on all video and image sharing sites. Content creators within YouTube’s Partner Program — those that can run ads on their original videos and earn ad revenue through Google’s AdSense — are now permitted to monetize videos featuring content owned by Nintendo, so long as those videos contain “creative input and commentary”. This means that videos of the Let’s Play, criticism, and analysis variety will no longer be targeted by Nintendo. Videos featuring Nintendo-owned content without creative input or commentary, however, will not be permitted. Gameplay and screenshots shared via Nintendo system features, such as the Switch Capture Button, are acceptable. You can view all of Nintendo’s content guidelines right here. With these changes already in effect, the Nintendo Creators Program is essentially obsolete. Nintendo will completely close the NCP at the end of the month, but they will still review videos submitted by channels already registered with the program until then. The Creators Program website will be taken down on March 20th, 2019. This seems like a big win for online content creators and Nintendo fans. We’re excited to see how these changes affect our favorite creators moving forward. What do you make of these changes? Were you a content creator affected by Nintendo’s copyright restrictions? Share your thoughts in the comments below.